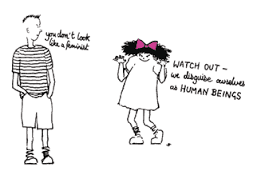 This blog aims to be a kind of collective feminist think-space to share ideas, thoughts, musing, rants, works-in-progress, stuff we’ve just published, or whatever we fancy talking about. The idea is not to be productive but to be collective. So, no pressure to contribute – but, equally, any and all contributions are hugely welcome. They don’t have to be carefully conceived and beautifully articulated – this is all about the process, not the ‘product’. If you’re a feminist academic or postgraduate researcher and you want to join the collective and/or post a piece, just email feministacademiccollective@gmail.com (including a link to your institutional webpage) – et voila! Just a couple of ‘book-keeping’ things to note: (i) the clue is in the title, but this site is specifically for feminist academics and research students – we don’t accept posts from freelance writers seeking to advertise or link to commercial products; (ii) please phrase comments in a respectful & friendly manner; (iii) all contributors’ and commenters’ views and opinions are expressed in a personal capacity and so don’t necessarily reflect those of their own institutions or of other participants; (iv) please don’t post anything that is, or could reasonably be deemed to be, libellous; (v) please don’t post adverts or call for papers (there are tons of distribution lists around for that); (vi) please only post images that are labelled free for re-use (e.g. via the Creative Commons); and (vii) we’re academics and so intellectual property is super-important to us. Feel free to cite these posts but do so as you would any published material, i.e. with proper accreditation to the author/s.